Send your documents via e-mail or WhatsApp, get your information and price offer right away. Let us track your document approval processes for you/on behalf of you; Notary / Governorship / Ministry / No need for you to go the consulate or to come all the way to Ankara. Sworn Translation and Notary Certified Translation Services are provided from our office located in Kızılay / Ankara to all over Turkey, your documents in public enterprises are tracked, and your completed documents are delivered by cargo, courier or e-mail. Your translated documents translated by our experienced translators are delivered with as the approval certificated of Sworn Translator and Sworn Translation Agency. We are available and ready to help you at any time when you need. Our working hours are planned quite flexible according to considering the needs of our customers. Our price policy was built on ensuring continuous collaboration with our cients. Our team consists of qualified translators who completed the relevant field or service training, and whose levels of competence were tested. You can secure your safety in writing with the privacy agreement. Service processes are operated by considering information security requirements. Notarized translation of certificate of identity register copy. Translation of the articles that you wrote or that you would like to use. Notarized translation of the grant certificate required for study abroad and Erasmus. Translation of invoices that can be used for customs procedures, overhead operations and payment transactions. Notarized or sworn translation of the certificate of celibacy that will be used for marriage formalities. Sworn and notarized translation of your passport. Notarized translation of your certificates required for education, accreditation etc. Sworn / notarized translation of the student document required for academic processes/procedures. Notarized translation of the warrant of attorney required for individual and commercial businesses. Notarized translation of the birth certificate required for custody or citizenship. Sworn translations, notarized translation and apostille confirmation of the criminal record certificate. Sworn or notarized translation of medical, examination study and evaluation reports. Sworn translation of the driver’s license that may be needed for customs procedures and during the travel. Sworn or notarized translation of the annulment of marriage that take place abroad or in Turkey. We provide translation services to all over Turkey and the world from Ankara. We deliver the documents that you send via hand-delivery, e-mail, Whatsapp, cargo or mail by carrying out the translations and approval procedures of those documents. With our experienced team, we provide you with information and support during the translation and approval processes. With our dynamic team and our extensive interpreter team, we can meet your urgent translation needs in a short time. 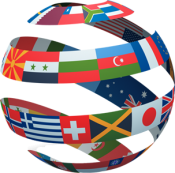 We provide translation services in many languages with our extensive translator team. We provide translation services where the field terminology is used correctly by our specialized translators who have experience in the field of translation you need, or who have specialized in the relevant field. We conduct our translation services and our translation service processes in accordance with national and international translation and service standards. No payment is required in addition to the translation cost for any kind of documents translated by our sworn translators. We, as Sworn Translation Agency, offer sworn translation services in many languages. Notary approved translations of the documents translated by our experienced translators are carried out in Notary Public in Kızılay, Ankara. Your documents can be processed by reducing your notary costs. The translation approval procedures of your documents that will go abroad or come from abroad without approval can be carried out by us on behalf of you in order to validate your documents. Foreign Affairs approval is obtained for your documents that are translated into many languages and many fields. Translation and consulate-approved processes of your documents coming from abroad or going abroad can be done carried out by us. All of your commercial documents such as contract, trade registry gazette, activity certificate, copy of chamber of commerce registration, list of authorized signatures, tax board etc. are translated by our experienced interpreters. Translation processes that are required for the Product Tracking System records and for the National Information Bank records are carried out by our medical translators. Your legal translations, such as legal texts, criminal / civil / administrative court decisions, divorce resolutions, case files, evidence papers, are translated by our experienced sworn translators. Your technical documents, such as catalogs, specifications, etc. are carried out by our experienced translators and if necessary, we are working with engineers who are specialized in the relevant field.